When chronic heel pain interferes with your work or personal life, you may have a condition known as plantar fasciitis. 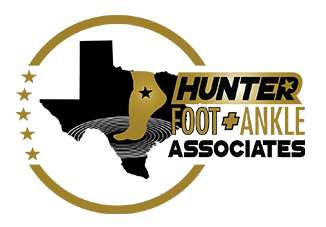 At his podiatry practice in Plano, Texas, Roderick Hunter Jr., DPM, AACFAS, offers advanced diagnostic and treatment options to alleviate the pain of plantar fasciitis and enhance your overall mobility. Dr. Hunter can address your specific needs with a customized treatment plan to get you back to your usual routine. Schedule a consultation for plantar fasciitis with Dr. Hunter today by using the online booking feature or calling his Plano office directly. Plantar fasciitis is a painful condition that results when the plantar fascia, the thick band of tissue that connects your heel bone to your toes, becomes inflamed. These thick tissues are responsible for absorbing shock when you walk, run, or perform other high-impact activities. When the fibers stretch too far, they can tear and become irritated and inflamed. You may be at increased risk for developing plantar fasciitis as you age or if you’re active in aerobic exercises, long-distance running, or dancing. You may also be at higher risk for plantar fasciitis if you’re overweight or have flat feet. Plantar fasciitis is also common in those with occupations that require prolonged periods of standing or walking on hard surfaces. The hallmark symptom of plantar fasciitis is stabbing pain at the bottom of your heel. Pain is usually worse in the morning or after long periods of sitting but may improve when your exercise. As pain worsens, you may find it difficult to walk normally or stand for an extended amount of time. Dr. Hunter reviews your medical history and the activities that led to heel pain. He performs a physical exam, checking for areas of your foot that are tender or painful. In many cases, Dr. Hunter can diagnose plantar fasciitis based on your symptoms and an exam. He may recommend additional testing to rule out any underlying medical conditions that could potentially be contributing to your heel pain. Initially, Dr. Hunter may recommend over-the-counter pain relievers and anti-inflammatories to keep you comfortable. He may also suggest physical therapy sessions and at-home exercises to stretch the tendons and ligaments in your feet and ankles. In some cases, wearing custom orthotic inserts in your shoes can help reduce pressure on your heel and better support your feet and ankles during activities. As a last resort, surgery can alleviate severe pain when tears won’t heal on their own. During the outpatient procedure, Dr. Hunter detaches the plantar fascia from your heel bone. Stop letting heel pain interfere with your quality of life. 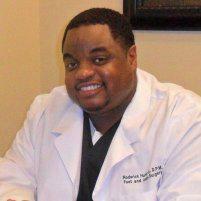 Schedule a consultation with Dr. Hunter online or by calling his Plano office directly today.